Cemented carbide rod, also known as tungsten steel rod, belongs to the cutting tool of cemented carbides. It is applicable to different rough grinding parameters and widely used in traditional automatic and semi-automatic lathes, involving the mechanical, chemical, petroleum, metallurgy, electronic and national defense industries. Hard alloy bars have many specifications and sizes, large single weight range, and require excellent red hardness and impact resistance. 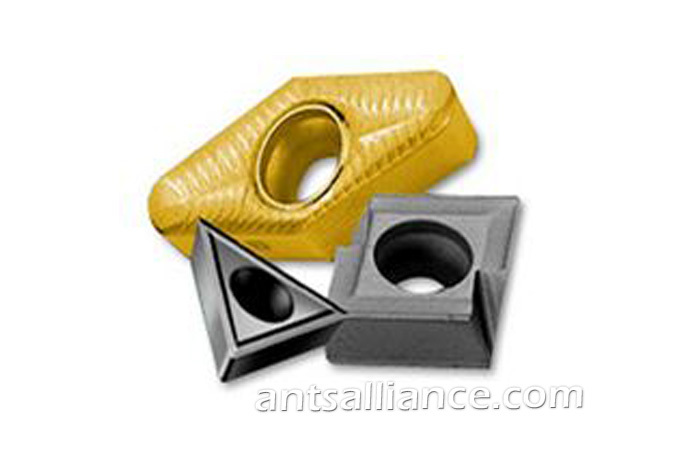 Cemented carbide is known as industrial teeth and widely used in all aspects of human production and processing. With the development of science and engineering technology, people have put forward higher requirements on the performance of cemented carbide. In order to adapt to this requirement, many new brands of cemented carbides keep emerging, and the requirements on the sintering technology of alloy are higher and higher. For example, the superfine grain PCB micro-drill used for PCB processing. The PCB plate has a strong abrasion resistance to cemented carbides, and the fine grain cemented carbides have a high abrasion resistance, high toughness and high thermal conductivity, which is suitable for the processing of PCB. With the increasing demand of circuit board, the processing performance is higher and higher, and the requirement of grain size and powder size is more and more fine. The cemented carbide pressure sintering furnace provided by SIMUWU can reach the maximum charging length of 3 meters and the maximum pressure of 100bar. PVA pressure sintering furnace according to the user's new materials and new process requirements in the furnace function innovation. At present, a well-known domestic enterprise USES PVA equipment to achieve the mass production of 0.2m ultrafine powder alloy. The product quality is excellent and stable, and it is in the world leading level. The 10MPa pressure sintering furnace provided by SIMUWU company is applicable to various brands and bars of various sizes. The product is pressed and sintered in the final stage, which greatly reduces porosity, improves compactness and greatly improves mechanical properties of the product. With complete equipment, large loading capacity, such as effective length of 1600 mm device can load 1300 ㎏, effective length of 2700 equipment loading capacity up to 2500 ㎏, SIMUWU company sintering furnace with high pressure fast cooling function, can effectively increase your productivity and efficiency. The main ingredients are tungsten carbide (WC) and binder cobalt (Co). The main components are tungsten carbide, titanium carbide (TiC) and cobalt. The main components are tungsten carbide, titanium carbide, tantalum carbide (or niobium carbide) and cobalt. This kind of cemented carbides is also called universal carbides or universal carbides.